Discussion in 'Chronicles' started by Saeros, Aug 22, 2018. Before the reader lies Caladglær, a thick tome with an exceptionally ornate hardcover. Inlaid in the earthen brown spine is the book’s name, with the golden letters glistening brightly to the eye. As the reader would run their hand along the cover and flip its pages, the faint smell of fresh pine would rise to remind one of a forest growing along a mountainside, similar to where the tome was first written. Nested in the richly crafted cover was a circular, sky-blue memory crystal. As the reader calls upon the Force to unlock it, their mind would be filled with the words of an ancient Jedi creed. Arclight, Loco, Shalken and 1 other person like this. I have taken it upon myself to pen this book, this Glîr'uin Calad <Poem-Song of the Light>, to both strengthen and guide my brethren in the Order. As we ceaselessly toil in defense of the helpless and strive against the creatures of the Dark, we must not blindly and hatefully seek for the blood of our enemies. The temptation of the Dark Side is strong, and it will even look to seduce you through your good intentions and upright heart. But remember — the root of this Taint is selfishness and the desire for power. As Jedi, our duty is not to ourselves or even to the Order, but to the Light Side and the Force. I therefore admonish you, brothers and sisters, to seek not your own gain but to uplift others before you. It is my sole hope that you will find in Caladglær both encouragement in your journey and tools to strengthen your purpose. Though the path of a Jedi is difficult indeed, take heart. Though the power of the Dark Side is strong, our Light is stronger. Let your hope be rekindled and your Light never fade. Vanya sulie <Fair winds>, and may the Force be with you always. Shalken and vamp like this. As the reader would turn the page to the first chapter, their eyes would meet an image drawn in black ink with a skilled hand. 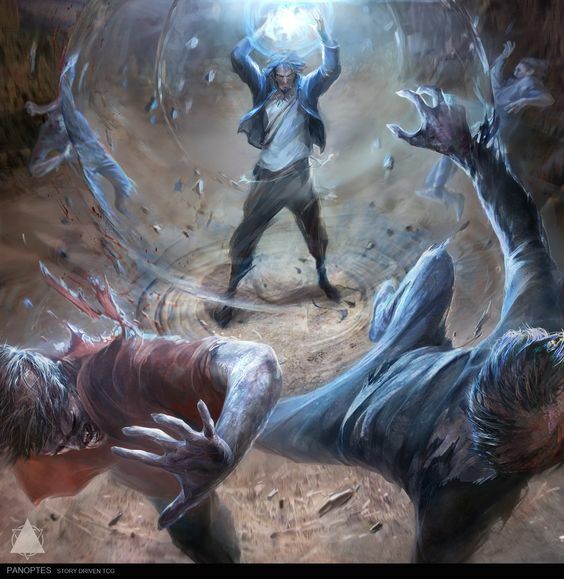 It depicted a Force user summoning the winds to his command, blasting away several assailants in a cyclone and whipping up the dust and rocks around him into a swirling cloud. Though the Jedi at the eye of this storm displayed immense power, it was also clear that he showed no anger or passion — only peaceful resolution. Among the Force school of Elemental Manipulation, Aerokinesis is one of the most versatile disciplines. Cryokinesis, while certainly having the potential for defensive measures, shines through its offensive uses alone. The wielding of both Pyro and Electro are dangerous indeed for a Jedi, as one must struggle against the passionate and dark thoughts of death and pain in their uses. Even through Aerokinesis, Jedi must search their feelings so as to not perform vile acts of cruelty. With such perils and stumbling blocks, shall we then altogether cast aside the manipulation of the elements? Certainly not! I say to you, it is through constant vigilance and a well-disciplined mind that one may wield such with power and serenity. As I already possess the ability to fly, allow myself the privilege of bias towards Force Wind. The creation of updrafts and currents in the air is most useful for easing the strain on my wings during flight, allowing myself to maintain my speed and endurance far longer than my brethren are capable of. But I digress, there are few among the Jedi who also know the joys of the wind and sky. The generation, shaping, and manipulation of the air is, clearly, invisible to the eye unless particles of dust or other debris are caught up in its performance. One must not confuse Aerokinesis with Telekinesis — for both are vastly different schools of the Force. 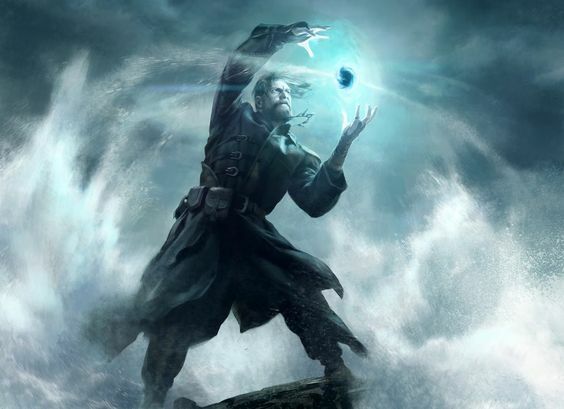 It is for this reason that many Force Sensitive opponents can be easily caught off guard, as counterattacks against Telekinesis will be largely ineffective against Aerokinesis. As the Jedi shapes and utilizes the air around them to attack or defend, it is notably indirect as opposed to simply attempting to target a specific person or object through the Force. Although there is certainly a defense for such attacks, as with all things, its obscurity is a great boon to practitioners. With the basics of Aerokinesis described and its usefulness to a Jedi divulged, the next several pages appeared to continue the subject and dive into greater detail on the many uses of manipulating the wind. Along the top of the page that began the second chapter, Saeros had sketched several drawings of Rishii and how their flight patterns were affected by the wind. Annotations in his native language accompany the sketches, but they were lightly penned and seem directed towards his kin. Reader, allow me to further discuss the great many uses of Aerokinesis. Though I could fill these pages with the knowledge of wind patterns and how to bend the air to your will for flight, I understand it would be in vain as disappointingly few would make use of it. However, I shall describe the other forms in which Aerokinesis can be wielded. Firstly, it can be used in defense of either yourself or an ally. By commanding the wind, a Jedi can purify toxins from the air that would otherwise cause great harm. Though such an action can certainly be taken upon being assaulted by gas grenades or other such means, I would advise seeking filtration suits instead if one finds themselves in harmful environments. Continually purifying the air in a perpetually dangerous location will cause even the most powerful of Jedi to tire, leaving you vulnerable to any manner of attack. Another such defensive measure Aerokinesis provides is the ability to still the air, preventing ear-damaging effects of great roars or screams in the Force from affecting you. This method can even be used in great storms or boisterous crowds, should a Jedi need to calm themselves and provide a peaceful, quiet aura around them. The reader's eyes would be met by another drawing, much like the one in the first chapter. A Jedi stood upon a rock, drawing upon the air around him to create what appeared to be a pressurized "ball" of wind to hurl at an opponent. Secondly, Aerokinesis has many offensive measures. One such powerful utilization of the wind is the ability to gather the air around you into one space, pressurizing it so compactly that it can be hurled at great speeds toward an opponent. Such application, as I have drawn above, is not for apprentices of Aerokinesis. Only Masters of the Force should undertake such an attempt, as the release of the pressurized air will explode and cause immense concussive damage to its target. A further extension of this discipline is the power to manipulate the very air pressure around an opponent. An advanced ability, this application will both crush and suffocate the target — while being vastly different than simply crushing one with Telekinesis. Mechanical constructs and droids are particularly vulnerable to such methods, as the continued pressure will dent and destroy the metal that holds them together. Lastly, though by far the greatest in scope, a Jedi can conjure gales and cyclones of immensely varying sizes. Their experience with the Force directly reflects the size in which they can generate and control. Though the smallest of cyclones can be created either around a target or elsewhere and then hurled toward an opponent, the greatest of windstorms can indeed be so large that they block out even the sun. 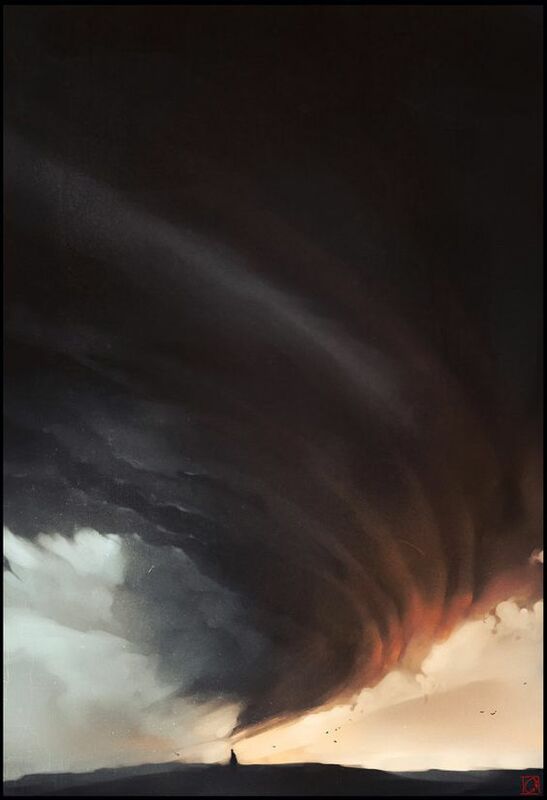 Drawn below is a sketch depicting a lone Jedi creating a cyclone of massive proportions. One can only imagine the power and attunement such a Jedi would need to be able to sustain and wield the air in this way. Be wary, Jedi, in that your mind is in the right place when performing such feats. The destruction that can be wrought with such power is immense — be mindful of your intentions, that they are pure. You must have harmony within, and yet be a hurricane without. Shalken and Aurius like this. At the beginning of the next chapter was another drawing, this one of a man kneeling in great despair while clutching a necklace to his heart. His hand was stretched out, feeling the power of the Force at his fingertips. Golden locks hung from his forehead as he stared at the ground before him. 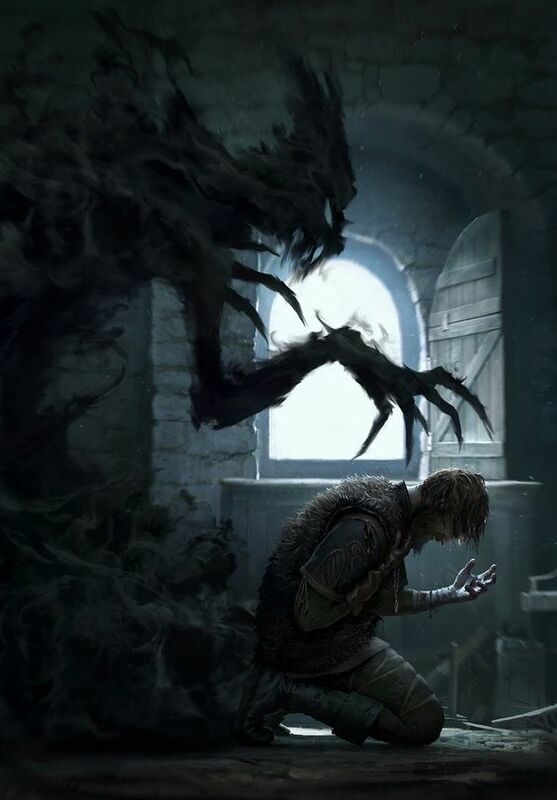 Behind the man was depicted a great specter of darkness — a beast of shadow that reached toward the man with a vicious claw, threatening to take hold of his very being. I take it upon myself, Jedi, to delineate the power of the Dark Side and its terrible corruption. Take heed, dear reader, that you acknowledge and understand the words that I write. There are many among our Order who have taken it upon themselves to seek out the Dark Side — justifying their deeds through claims of seeking knowledge or using their enemy's power against them. Fools! Once having drunk of its power, forever shall they be tainted by that which they wish to destroy. Even the most noble and righteous among us us can be become entirely consumed by it. All who are capable of sensing and wielding the metaphysical energies of this Galaxy are tempted by the Dark Side. It calls out to us, offering our greatest wishes and claiming to fulfill our most dire needs. Do not be fooled by such things — for it is a profound and utterly overwhelming evil. Those who partake of its power find that it only grows stronger, but exacts a terrible toll for such a “gift”. It corrupts both body and mind in different ways, ravaging its practitioners until naught is left but a husk of their former selves — vessels through which the Dark Side does its bidding. It is intensely alluring and incredibly difficult to reject once one has called upon it. As practitioners of the Light, we admonish ourselves and others in the Order to allow the Force to guide us in our actions. Jedi put themselves and their own desires aside in service of the Living Force — a total opposite of the Dark Side. Though we feel emotions as all living beings, we are not swayed by them. Passion and intense feelings, both good and bad, are central to those of the Dark. As we dwell in peace and balance between all things, the Dark Side is a perversion of the natural order. There is only one result to its continual use, one inevitable price that must be paid. Only pain and suffering await them. It is for this reason that as Jedi, we forbid attachments to all things. Allowing our emotions to be brought close to someone can only result in their eventual loss. Fear of such loss leads to pain. Though some remain strong through these tribulations, far more fall much further into hate and suffering. These are no traits of a Jedi, but of the Dark Side. May you be ever vigilant, reader, and tread not on the line between the Light and the Dark. In direct contrast to the warning Saeros wrote to the reader about the Dark Side and its terrible corruption and allure, the fourth chapter covered the topic of the Light Side of the Force. Depicted in yet another drawing was a figure focusing intently with streams of light pouring forth from his hands. This chapter was strangely shorter than the others the Rishii had written, and seemed unfinished. Though as Jedi you already comprehend the Force and the Light Side, I shall seek here to further increase your knowledge and better equip you in your constant struggle against the Dark. Firstly, one must understand that the Force, in its natural and thereby balanced state, is of Light. All that needs to be done to comprehend this is to look around at the Galaxy around you. There are opposites in all things — heat and cold, violence and peace, life and death. Yes, even death itself is natural and it feeds new life. It is in this balance that the Force exists and yet it binds all things together as one. Meditate on this, and your eyes shall be opened to more of the great mysteries of the Force. Some have questioned whether the Light and the Dark Sides also comprise such a Balance that creates the Force. This is but a falsehood, one that only the ignorant believe. The Dark Side is wholly unnatural to the natural balance — a taint that disrupts the Force and tears sickening wounds into reality. Though many are drawn to the Dark Side because of the immense power that it grants, surely I say to you that it is naught but a shadow that flees in the presence of the Light. Always remember this, Jedi — though the Darkness may be powerful, your Light is stronger. Though the original author of Caladglær had written no further, a new hand had taken up the book and endeavoured to impart more knowledge to the reader. Austin Wolfe, a Jedi Master of the Order, continued hereafter for the following chapter to pass on his own wisdom and guidance for future generations of Jedi. Throughout the lifetime of a Jedi, constant meditation upon not only the Force but also the Light Side can result in many things that are considered phenomenon even among the Order. The Force in its natural, balanced state is of course the fundamental basis of our faith and constantly guides our thoughts and actions. Even those corrupted by the Dark Side do not always delve into passion and intense emotions to conjure manifestations of the Force, as that would hasten their descent into becoming nothing more than slaves to the Darkness. In a sense, even they require this neutrality and balance, despite twisting it to their own ends. But what if one were to be equally immersed in the Light Side as they are to the Dark? Firstly, such energies of the Light are filled with such things as life and wisdom, mindfulness and healing. A lifetime spent meditating on the Light grants unnatural longevity — something that the Dark Side cannot grant through means other than bloody life-siphoning rituals and abhorrent magicks. Furthermore, with enough training and discipline, the Light Side itself can be drawn upon for aid. Should one’s mind be besieged by clouding thoughts or visions of indescribable terror, the Light will grant peace and clarity against such assaults. Should your faith in the Light be strong enough, then it is even possible to fortify yourself and become nigh-immune to some of the most debilitating powers the Dark Side can manifest against you. As such, you will be as a beacon, a burning flame that no shadow can extinguish. And yet, the Light can not only provide these defensive wards, but also enable you to purge the Darkness itself. Very few Jedi are capable of achieving such harmony with the Light Side that they can wield it in this way. 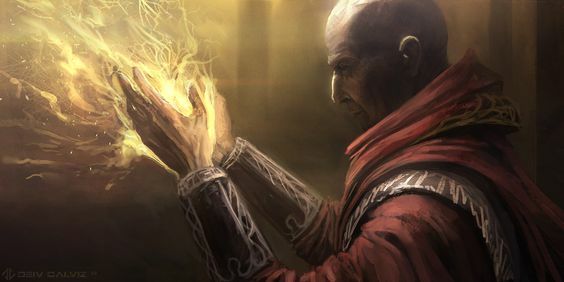 Projecting the power within you from the palms of your hands, this power can be used to diminish or destroy the Darkness in people, artifacts, or even areas tainted with corruption. Remember that above all, a Jedi must have unparalleled connection to the Light. Though the struggle to resist the constant allure of the Dark Side is great, even falling to it once would render a Jedi almost totally incapable of drawing upon the Light Side in this way. Remain faithful, my reader, and the Light will reveal itself to you. 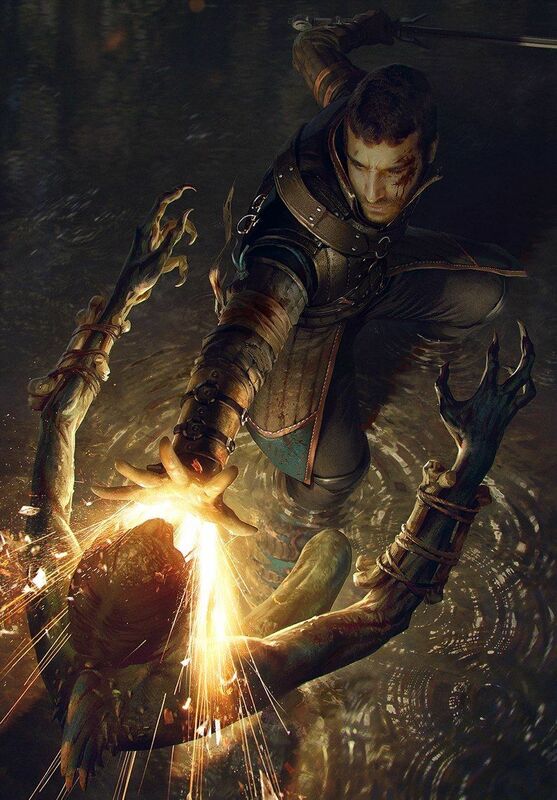 Following the example of Saeros, Master Wolfe pictured a Jedi in the heat of battle against a vile abomination. With his arm outstretched, the Jedi released a withering blast of Light that burned away at the face of the being of Darkness.